Natural Plant Enzymes and fiber are essential for proper digestion and elimination. The typical American diet is generally lacking in these requirements. Enzymes break down fats, carbohydrates, sugars, dairy and proteins into their basic building blocks so that the body can digest and use them. Although enzymes are present in all raw foods, they become devitalized in cooked or highly processed foods. Temperatures greater than 118° F. kill enzymes. Even steaming vegetables kill enzymes, as does irradiating or microwaving them. Autopsies have shown that everyone who eats primarily cooked food will have a dangerously enlarged and poorly functioning pancreas, often on the verge of breakdown. If the pancreas is stressed day after day, year after year, in order to produce an excess of digestive enzymes, then the rest of the body’s enzyme reserve is severely taxed. Gradually the overworked pancreas and other digestive organs will not be able to produce sufficient quantities of enzymes. This leads to digestive diseases and toxic bowel conditions. Over time, hard to digest high protein foods (such as cooked meat and other enzyme deficient foods) exaust the digestive organs until they can no longer function properly. This results in the accumulation of partially digested food in the colon. By middle age many people have as much as 20 pounds of undigested, putrefactive food in their colon. Toxins produced from this putrefactive buildup are absorbed into the bloodstream, creating autointoxication, or self-poisoning. This results in a weakened immune system and can lead to serious debilitating health problems including colon cancer. Colon cancer is the most prevalent cancer in the United States. 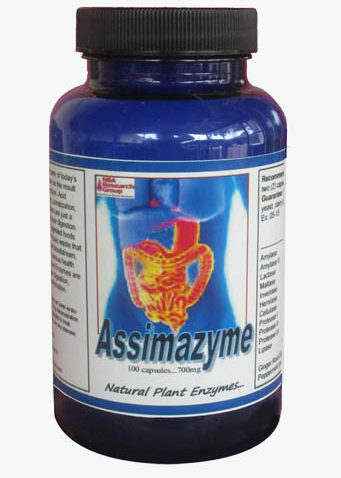 Natural Plant Enzymes taken with meals and between meals will work to eliminate the accumulation of toxic waste in the stomach and colon. Enzymes act as scavengers of foreign substances throughout the body, preventing joints from gumming up and arteries from clogging. 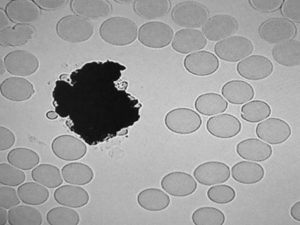 Enzymes in the body’s white blood cells are responsible for destroying foreign, disease-producing substances in the blood and lymph. 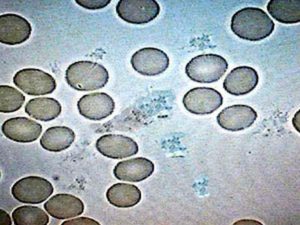 During illness and infection, white blood cells increase to fight off pathogens. When cooked foods are eaten, the body reacts just as though we had an acute illness. Within 30 minutes of eating cooked foods, our white blood cell count increases dramatically. Unless you eat only raw foods, most people’s health would benefit greatly with a daily intake of high quality natural plant enzymes. 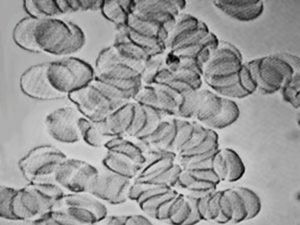 Rouleau…red blood cells clumping together which leads to poor oxygen and nutrient delivery. This may cause chronic fatigue, migraine headaches, foggy thinking, dizziness, poor circulation and nutrient deficiency. 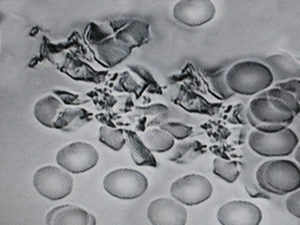 Uric acid crystals, which could lead to arthritis, gout, fibromyalgia, and joint and muscle pain. People with a high level of uric acid in the blood may develop kidney disease or gout via the development of crystals in the joints. Cholesterol can combine with undigested fat, calcium, and other substances in the blood to form plaque. Plaque then slowly builds up and hardens in the arteries, causing them to narrow. This buildup of plaque, a condition called atherosclerosis, and may lead to heart disease, heart attack, and stroke. Fungus and Yeast that can be the result of undigested carbohydrates and sugars. Also, antibiotics destroy the normal, protective gut bacteria, allowing intestinal yeast and fungi to grow unchecked, resulting in Candida overgrowth. Fungus and yeast can cause many other physical issues, such as, skin problems, upper respiratory issues, sinus, allergies, yeast infections, chronic fatigue, Irritability and digestive problems. Some medical practioners believe that fungus may be connected to the root cause of cancer.